The first trailer for the latest instalment in the Mission: Impossible blockbuster franchise has been released – and it includes a London scene that left Tom Cruise with a broken ankle. The two minute 30 second trailer is jam-packed with all the thrills and spills expected of the action movie which stars Cruise as agent Ethan Hunt. Alongside sidekick Benji Dunn – played by British actor Simon Pegg – and the rest of the Impossible Missions Force (IMF), Hunt finds himself in a race against time after a mission gone wrong. The film also stars UK actor Henry Cavill, who plays antagonist August Walker, Swedish actress Rebecca Ferguson as Hunt’s ally Ilsa Faust and Alec Baldwin as IMF boss Alan Hunley. Among the exhilarating clips, the trailer sees Hunt racing through the streets of Paris on a motorbike, hanging off a vertiginous cliff in Norway and leaping from building to building in London. Cruise, 55, is known for carrying out his own death-defying stunts, which included the fateful jump filmed in the capital in the summer. He told the Graham Norton Show in January that his ankle was still broken after injuring it while shooting the scene. “It’s still broken but I’m doing well,” he said. “It’s not fully healed but we are shooting and we have a release date so I just have to keep going. 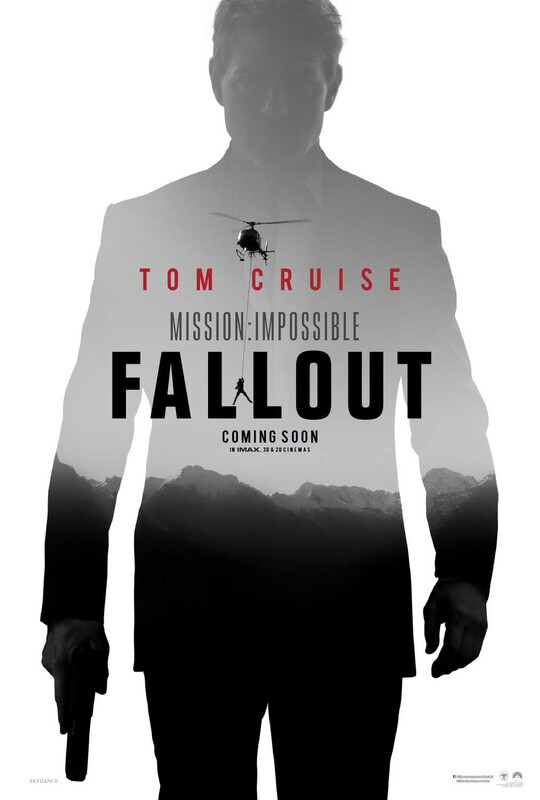 Cruise was spotted filming further scenes for Mission: Impossible – Fallout in London in January, which included him sprinting along the roof of the station on Blackfriars Bridge. Remember the movies & TV shows from 2018? © 2019 Columbia Pictures Corporation Limited. The S logo is a registered trademark of CPT Holdings, Inc.